CES 2016 is about to kick off so it's a good time to make sure you're up to speed with all the wearable tech news before the barrage of product announcements at the big Vegas expo. Over the last couple of years, we've seen a lot of smart rings come and go. Altruis impressed and Ringly intrigued, the Mota failed to materialise and the plainly-named Ring was described as "the worst product ever made". Could Samsung be about to shake up the market? According to Patently Mobile, the Korean company is working on a smart ring "that could be used to control certain functionality on future smartphones, tablets or any kind of smart TV". 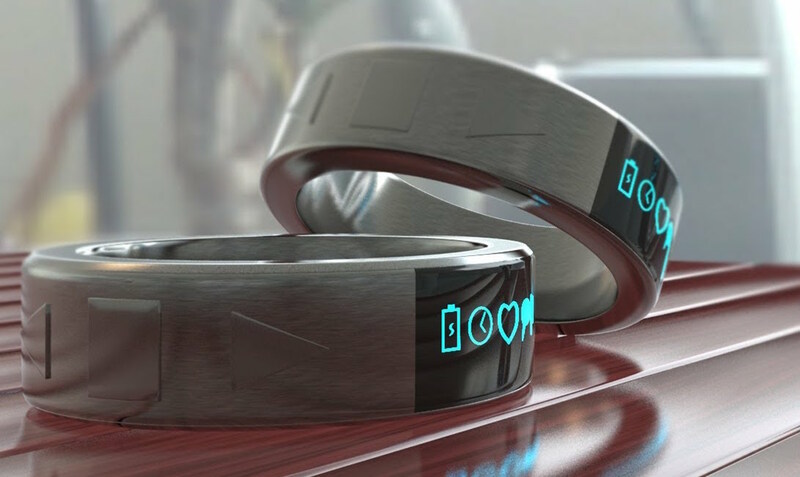 The report also states that the ring could be "used in conjunction with a future home automation system". Got yourself a brand new smartwatch for Christmas? Well, beware, because Tony Beltramelli, a research scholar at IT University of Copenhagen, is claiming "that movement data collected from sensors within a smartwatch can help hackers discern what is being typed on its keypad, and this information includes your smartwatch PIN." Read more about the academic's security fears over on Mobile Choice. Chinese company FiresVR has launched a mobile powered VR headset to take on Samsung's Gear VR. According to a report on Tom's Hardware, "FiresVR's JiDome-1 VR headset shares similar traits with Samsung's Gear VR HMD such as buttons to interact with VR experiences and built-in axis gyroscope and proximity sensors." Confused about VR? Don't be - check out our virtual reality guide to learn all about it. Panasonic has developed "a stretchable plastic film for electronics that overcomes shortcomings of conventional stretchable and flexible films." The material is said to be applicable for the emerging smart clothing market, as well as being suitable for sensors, displays and robots. Find out more about the specifics over on PlasticsNews.